I was brought into this project by some fabulous friends, so I felt it super important to make a good impression on the director-fella, Kevin Heath, who is also happens to be the co-owner of the company, along with Alan Obata. Weeeeelllll, walking into rehearsal 15 minutes late was NOT the way that I wanted to start off our first encounter. I had my GPS set for the Limelight address… but for one that was from a while ago. LOL! And what, bummed me out is that I circled the block twice with 10 minutes to spare trying to see if I was in the right spot because the only place that looked open was a car repair shop. Then somehow, I managed to recall that our fearless leader had sent an email about the location for our read through. One minute after the scheduled meeting time, I sent him a message letting him know of my goof and he was kind and understanding. So I drove down the street and made it to the proper spot and shamefully walked into the venue. Right away, Kevin popped up out of his chair with a big smile and a ready handshake. Easily one of the kindest people, I have had the pleasure of meeting. We traded pleasantries around the table as we took seats to begin the reading. Like the first read through of “Super Villain” at the Pear Theater, I giggled the whole way through, and in the process stumbled on some of the words. When we reconvened, after a month and a half away, we got to work putting this show on its feet. I felt a little like I was bumbling along through the blocking, because I needed to get my awkwardness into gear. I hoped that it didn’t look too spastic when I panicked. Then when we were told that a piece of the furniture was going to be a bean bag that I jumped on, I felt my stomach flip flop. A big guy like me? Jumping on a bean bag? C’mon!!!!! Talk about panic. We rehearsed and rehearsed with no problems. Things were piecing together. The motions a bit more natural even though they sometimes were opposite of what I would normally want to do, thanks to my want of being a dancer. Graceful wasn’t what Robert was about. Preview snuck up so fast! The people that were there got to bear witness to my fear ever since the announcement of the bean bag. Yes, dear reader. You can probably guessed what is to come. All I remember is putting the handbag I was suppose to hide in its place then rushing over to get the bean bag. I recall getting my hands on the white, smooth, faux leather and jumping in the air and suddenly hearing “pfwhoosh! !” Then an eruption of laughter. I flailed around on this ever shrinking bag of beans and the laughter escalates in the midst of my flailing! I finally feel the giggles dying down and calm my motions as well for the scene to continue. Oh boy! When I stand up, there is a mess of little white puff balls littering the stage and I worry that someone is going to fall. GAH!! Why a bean bag? LOL! It wasn’t until after the performance that I was told that every flail resulted in those little beans flying out of the hole in the bag which happened to be near my crotch, thus making me look like a seahorse on dry land birthing my offspring. Can’t visualize it? Check out the bottom of this post. After that first audience, I always had to mentally prep myself for the possibility that it could happen again. That’s when I found Leo (image at top). He was just a pattern on the back of the set. 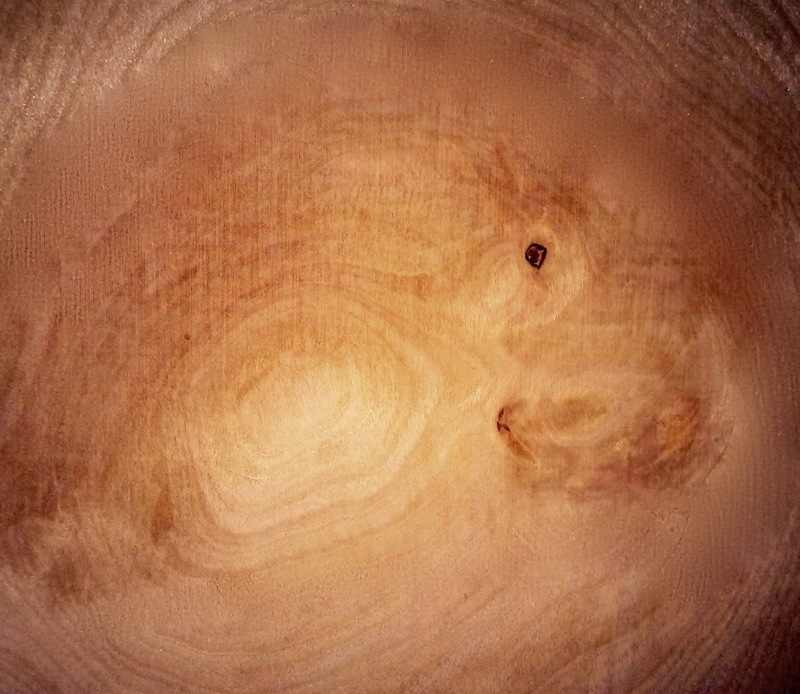 The natural lines in a wood pattern that my brain decided looked like a lion. Every night there after though, I would take a moment and run down that particular sequence of events so that everything would be fine. He was like my little mascot for the show. I really don’t want to gush about how fabulous it was to work for the Limelight Actors Theater Company. Not because it isn’t true. Absolutely not. I had a marvelous time! I don’t want to gush because then everyone is going to want to work there and they should, but I don’t want to have so much competition for roles. Selfish? Totally. I wholeheartedly admit it. That being said, I think people should experience what it is like to work for someone who cares so much that the actors are able to focus on their roles and fosters an environment that truly feels like we are creating something in tandem. We were welcome to try out as much as we wanted, and believe you me, I took full advantage of that. I don’t think I did anything the same more than twice while we were rehearsing because I kept having different feelings appear in my noggin so I would run with it. Sometimes it worked out better than the last thing I thought of, and sometimes it didn’t. I appreciated that whenever I would say “it feels weird to do…” this motion or that one, I knew that I was heard and got to talk about it. *sigh* I already miss the place. Not to mention the amazing people that I had the chance to work with! I always love getting to work with my buddy Aaron Weisberg and the superb Cindy Powell, but to play on a stage with the very funny trio; Christine McElroy, Rachel Perry and Heather Bass was sheer joy! Everyone was genuinely interested in our castmates’ lives outside of Boeing Boeing and it was so fun getting to really know these outstanding beautiful people. So… thank you to Kevin and Alan of LAT for letting me be a part this crazy and kooky show with a whole slew of great people. Alas, now it comes time to depart for the next destination, but I can’t wait to be for a return visit! Wes Craven and Kevin Williamson have returned for another installment of a franchise that reinvigorated the slasher flick genre with a bit of wit, thought, and the old cliche for good measure. Scream 4, while not as uniquely original as the, well, original, does keep you looking for the usual suspects like the broody Ex-boyfriend, or the Crazy Eyed deputy that has a torch for the Boss. For those of you who have never seen a Scream movie, I ask you why not? Is it because you don’t like slasher flicks or is it because you don’t enjoy that feeling like your heart will skip a beat when something pops out from beyond the camera’s view? Is it because you feel like the horror movie genre is somehow less intellectual than you would like? If your reason is because of the latter, I do concur that many of the slasher flicks nowadays can go way too far (like House of 1,000 Corpses or Devil’s Rejects); there are still some that try to challenge you and keep up with the times. And that brings me back to Scream 4. The series revolves around Sydney Prescott (Neve Campbell), an “unlucky” girl whose mother was a little too “flirty” with the boys. At least that’s how the whole thing began. So long story short, usually during the anniversary of her mother’s killing, someone tries to kill Sydney. Ta-da. I’m not trying to make light of the movie. That’s just how it is. The more I think about this movie, the more I think I like it. Not just for the entertainment value of it, and it really was entertaining. I kept turning to my partner in crime and saying, “I bet it’s ———.” throughout the film. And even though I could figure out the formula, there was a step that I overlooked. I won’t tell you what part it was, or it may ruin the ending for you. So here’s why I really like this movie. It’s well directed! Wes Craven shows why he is the master of suspense. Once again an iconic serial killer is brought to the public consciousness that people will always associate with a particular image. Craven’s knack for showing you the victims surprise/pain/anguish is remarkable. (Inconsequential SPOILER>>>>>>>>>>>>>>>>>>>) One that immediately comes to mind is the death of Sydney’s publicist, Rebecca Walters, (Alison Brie). After the usual intense moments of being trapped in a hospital parking lot in a car with a killer just outside, the victim makes a run to “safety” only to find that the door that separates her from the very people who try to prevent death is locked. Craven cuts quickly from her trying the door to turning just in time to see that image racing at her with only that door to stop his momentum. The subtlety could be easily overlooked, but sometimes, on very rare occasions, the lightbulb fizzles on for me. On top of the directing, Kevin Williamson returns to the franchise that he created and has penned a script filled with smarts, creativity, societal/generational morality/ethics, and humor. The opening has a triple decker of murder, but all of them are just part of the formula. Kind of like a cinematic amuse-bouche. It’s not an appetizer that you just order off the menu; the chef decides to allow you the little morsel of bloody goodness to wet your appetite for what’s to come. The juiciest piece was Anna Paquin and Kristen Bell! You can totally tell what’s gonna happen, but it’s so funny that there’s no way you can’t enjoy it. Williamson’s writing for this particular installment stays so modern to society today in that everything is so Technoriented (yes, I just made that up) there’s no true sense of privacy anymore and there’s hardly any originality being brought to light. So what’s one to do? To try to outdo the original of course, and in the process to show how you are doing it so that way you can be famous. One of the scenes is at the “Cinema Club” AKA A/V Club and the leaders of the group go into explaining what the next logical step of a horror film would be. Their thought (which actually frightens me that someone may get the notion to do this) is that the killer should be taping it and streaming it Vlog style so that the crimes will live on well after the death of the killer. I hope that never happens, but then again… There’s a wonderful little monologue near the end of the flick where Sydney is being told why this is happening. It makes mention of the fact that nowadays you don’t have to really do anything special or have any talent to be famous. You just have to make a lot of crazy decisions or have something horrible happen to you that you can milk. Of course I am severely paraphrasing here with my bad memory so know that it’s much more interesting and well worded than this. Hahaha. As for humor, who else would fit in word play like “Shriek-quel” for sequel? But I highly recommend taking a gander at the Scream movies if not all of them, then at least the first one and this latest one. The original movie has such an amazing first scene that to this day it is one of my all times faves! The intensity is priceless. Have you seen the movie yet? What do you think of it? Was it too gory? Not enough? Maybe too corny? Lemme know! 2. Can you tie the term amuse-bouche to the franchise I just wrote about? *Note: There is only one answer for this. In order to qualify, just write a comment in the section below with both answers. The answer to question 2 must be correct. All correct entries will be entered into a drawing and the winner picked at random. Deadline: May 1, 2011. Good luck! !